Fought on 14th October 1066 between Duke William of Normandy and Harold Godwinson, the king of England, the Battle of Hastings changed the course of English history forever. William's victory ensured his accession to the English throne, and the battle of Hastings and the two earlier battles at Fulford and Stamford Bridge led to such horrendous casualties that there were very few men left to lead any kind of resistance to William once he'd been crowned. Because of this lack of resistance, William would survive long enough to successfully found a Norman dynasty of English kings and change the English lineage irrevocably. 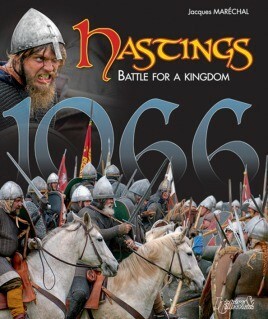 Hastings 1066 fully illustrates one of the greatest battles in military history.